How Much Does it Cost to Host International Bulgaria Conference Calls? Hosting Bulgaria conference calls with international participants is an affordable alternative to meeting in person. How affordable? Costs are variable, and it depends on which countries your participants call from, how many participants you have, and how long the call lasts. However, let’s run through a couple of examples to give you a better idea of what to expect when hosting international Bulgaria conference calls. Each country has its own per minute rates for joining a Bulgaria conference call, so you’ll need to look up the rates on our website for each country involved in your teleconference. In this example, the total cost per minute for the entire group joining your Bulgaria conference call is just $3.26. Use your total cost per minute along with your expected conference duration to estimate the cost of your global conference call. In this case, a 30-minute global conference call in Bulgaria would come in at less than $100 — $97.80 to be exact. The first example looked at costs using toll free figures. If you want to reduce your costs, consider using local access numbers or moderator dial-out when available. For example, if your Bulgarian participants are in Sofia, using a Sofia access number would save you 23 cents per minute, or $6.90 over the course of the 30-minute conference call. In this example, the total cost per minute for the entire group joining your Bulgaria conference call would be just $1.23 — quite a bit less than a toll free international conference call. Using the 30-minute duration we used earlier, this global conference call would cost $36.90. Keep in mind that you can use a mix of dial out, local, and toll free access numbers, so your costs will depend on the choices you make. These examples should give you an idea of how affordable hosting a Bulgaria global conference call can be. Have your international conference calling costs saved you money? Share your real world examples with us on Facebook. Author 1118-signalPosted on August 22, 2015 Categories bulgaria conference callTags international conference call, international conference callingLeave a comment on How Much Does it Cost to Host International Bulgaria Conference Calls? You’ll need to find a convenient means of joining a geographically diverse group together into a group audio call. 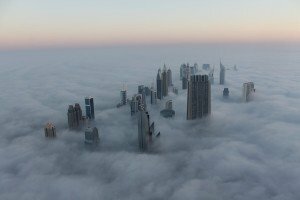 Doing business in the United Arab Emirates often requires international communications with partners, colleagues, suppliers, contractors, and business associates around the world. Whether you’re in the United Arab Emirates for business or pleasure, you may find the need to conduct a group audio UAE conference call with attendees from around the globe. This could be an ongoing need, or it could be something you plan on utilizing on a regular basis. In either case, you’ll need to find a convenient means of joining a geographically diverse group together into a group audio call. Global conference calls in United Arab Emirates require a plan. Here’s what you need to know. Sign up for a global conference calling plan. Note that international conference calling services are different from domestic ones. Your traditional conference calling plan won’t support international callers. Our contract-free, pay-as-you-go United Arab Emirates plans are perfect, and they’re loaded with features. Choose from toll free or local access numbers, or use the optional dial-out feature to dial some attendees directly. Hosting a call is easy, and everyone dials a local access number to join the call. Our rates are highly competitive, and the sound quality is excellent thanks to fiberoptic PSTN networks. Schedule the United Arab Emirates conference call. Depending on where your attendees are located, this may require some scheduling flexibility. Keep time differences in mind. You can schedule calls in advance or host them on the fly. Consider recording your global conference calls, too. This allows you to share them with participants after the fact, especially those who missed the call. Get familiar with the features available to you. Our plans are packed with useful features such as the aforementioned MP3 call recording and moderator dial-out features. Spend some time getting comfortable with the online account management dashboard, live conference viewer, and mobile Connect App. Learn how to calculate the cost of your United Arab Emirates conference calls. As you know, holding global conference calls is far cheaper than hosting live events because travel and a physical conference room are not required. However, you’re likely accountable for your spending. Take a look at the per minute rates for each participant’s countries, multiply those rates by the number of participants per country, and then add them up to get a total cost per minute. Multiply that number by the estimated number of minutes your call is expected to last. For example, if you have 3 participants in USA, 2 (counting yourself) in the United Arab Emirates, and 5 participants in Ireland, you’d need to look up the per minute rate for USA 2.6 cents ($0.026), United Arab Emirates ($0.38) and Ireland ($0.15) and then multiply them by the number of participants per country. Start using your United Arab Emirates conference calling plan. As you can see, global conference calls are inexpensive, so take advantage of your plan. With a pay-as-you-go plan, you pay only for the calls you make. How have you benefited from global conferencing? Other participants from different countries would dial phone numbers specific to their countries, and everyone would be routed over a high quality PSTN network into a group audio call. 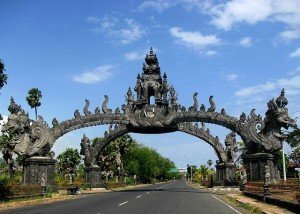 Traveling to Indonesia, yet need to stay in touch with your colleagues, business partners, suppliers, and associates elsewhere? Whether you’re based in Indonesia full time, spend a part of the year there, or have business associates in the country, hosting global conference calls is easier than you may realize. Let’s take a look at two of the most common scenarios for Indonesia conference calling. In this scenario, you’re in Indonesia but your contacts are located in other countries such as the United States, China, Hong Kong, or Australia. As the host of the call, you need a convenient and affordable means of bringing everyone together in a group audio call. One option is to use your phone system’s conference calling feature, but it’s clunky. Not only are you limited by the phone system’s conference calling capabilities (you may only be able to join a handful of callers into a conference), your attendees will be forced to dial an international phone number in order to join the conference. Your conference calls could prove to be a burden on your attendees. A better option is to use an international conference calling service provider that supports Indonesia and the countries your participants are in. With our Indonesia global conferencing service, your participants can dial a toll free phone number for their home countries and be instantly routed over a PSTN fiberoptic network to your conference. Meanwhile, you’d dial an Indonesia access number. If you have attendees in countries without toll free access numbers to your conference, you’ll appreciate the ability to “dial out.” The dial out feature allows you to dial attendees’ numbers directly, and it usually comes with lower per minute rates than standard options. The second scenario involves hosting a global conference call with attendees from Indonesia. In this case, you’re located in another country, let’s say Canada. As the host of the call, you’d dial a Canadian phone number to join the call while your attendees located in Indonesia would dial a toll free Indonesian phone number. Other participants from different countries would dial phone numbers specific to their countries, and everyone would be routed over a high quality PSTN network into a group audio call. It doesn’t matter where in the world you may be, or what type of phone you may use. Whether you’re on a landline, cellphone, or VoIP phone, you can participate or host an Indonesia conference call. Want more global conferencing tips? While you’re in Brazil, you may be far from home, but you’re never far from your contacts if you use an international conference calling service that supports Brazil group audio calls. 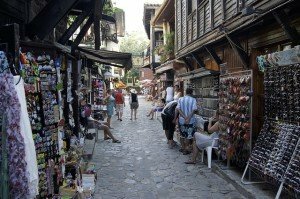 As an emerging economy and gorgeous tourist destination, traveling to Brazil on business or for pleasure is becoming commonplace. Here’s what you need to know about staying in touch with your international team while you’re in Brazil. 1. Setting up Brazil group audio calls is easy. With our international audio conferencing service, you can set up your Brazil group audio calls in the same way that you would do using a domestic audio conferencing service. The main difference involves issuing international access numbers. Simply schedule your group audio call and invite attendees. They’ll be given either local or toll free access numbers (depending on how you set up the conference) that are local to their countries. 2. Nothing’s more important than network quality. Not all international conference calling service providers provide exceptional sound quality. We do. All of our Brazil group audio calls are routed over a PSTN fiber optic network to ensure the best sound quality possible no matter where in the world your attendees are located. 3. You can host a group audio call from anywhere and from any phone. Whether you’re in Brazil, on a layover in Miami, or visiting another country, you can host international group audio calls. Not only that, you can do so from a landline, mobile phone, or VoIP phone. Your participants can join from any country or phone, too. 4. There’s no special equipment or software required. Have you ever been invited to a web conference only to find out that you need a microphone, webcam, and software? Even if you have the hardware and technical know-how to set everything up, doing so is time-consuming and intrusive. By hosting group audio calls, you’ll never impose on your participants in this manner. 5. A multitude of useful features are available. We recommend recording your Brazil group audio calls so that you can review them later or share the recordings with those who couldn’t attend in person. MP3 call recording is but one of many useful features. 6. Group audio calls are an affordable way to stay in touch with a geographically diverse team. We offer low per minute rates and pay-as-you-go pricing, making our international conference calling plans particularly affordable and flexible. If you only need to host Brazil conference calls while you’re in Brazil on business, use our service to do so with confidence. When you no longer have the need, stop using the service without concerns about contracts or fees. When you use a quality international conferencing service, hosting group audio calls is easy. However, time zone differences can be challenging. We’d love to hear your ideas on how to schedule international conference calls with participants from around the world. Share your ideas with us on Facebook. 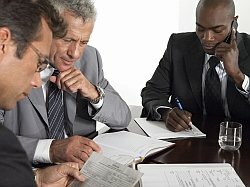 Our rates are extremely competitive, making holding Bolivia conference calls a cost-effective means of communicating with your Bolivian business associates. Bolivia has a population of more than 10 million people. It is also a resource-rich country with strong growth projections. 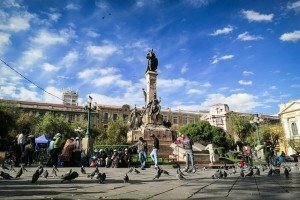 Whether you do business in Bolivia or have business associates in the country, you may find yourself in need of Bolivia international conference calling services. When it comes to hosting a Bolivia conference call with international participants, you’ll need a special type of conference calling service. Our expanded international conferencing plans allow you to host calls with participants around the world by providing them with local or toll free access numbers. You may have a high tech phone system with conference calling features and a toll free number for your business. While that’s helpful for holding conference calls with participants in your own country, it’s not practical for international participants. First, your toll free business line only works domestically. A caller from Bolivia won’t be able to connect to your international conference call – nor will any of your other attendees located outside of your country. A workaround would be to give everyone your direct line, but then they’d all incur international long distance charges. Familiarity – The toll free access number looks just like any other toll free number in their country. All they need to do is dial just like they always do. There’s no need to figure out Bolivia’s exit code or enter your country code. There’s no need to get the operator to help connect the call. It just works. No charges to attendees – As the host of a toll free Bolivia conference call, you’ll be billed for call, not individual participants. They’ll be reassured about potential costs as soon as they see they’re dialing a toll free number. Works on any phone type – You and your participants can join the Bolivia conference call using any phone including landlines, mobile phones, and VoIP phones. There’s no software to install (unless you want the convenience of our mobile app), no special equipment to buy, and no complicated software to learn. Chairing a toll free Bolivia conference call is easy to do when you use our service. We’ve built or international conferencing service on tried-and-true telecommunications technology – not VoIP. Transmission over a PSTN network translate into crystal clear audio with no dropouts, echoes, or volume issues. This allows everyone in your group call to hear one another clearly so you can focus on the issue at hand. We’ve also included some of the most popular conferencing features such as MP3 recording, live conference viewer, attendance reports, and a dial-out option. 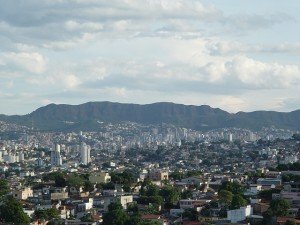 Our rates are extremely competitive, making holding Bolivia conference calls a cost-effective means of communicating with your Bolivian business associates. Perhaps best of all, our expanded international conferencing service is available on a pay-as-you-go basis. There are no monthly fees, contracts, minimums, or prepayments. Simply pay as you go. 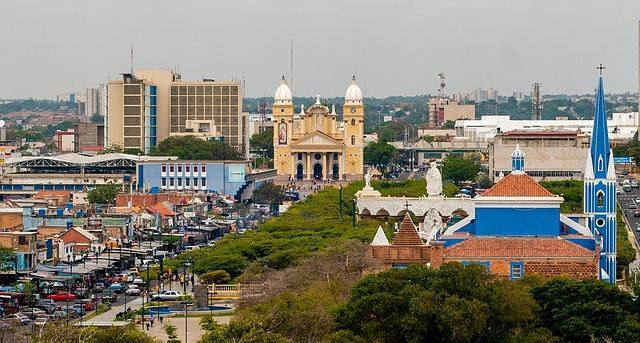 Whether you need to host one Bolivia toll free conference call or hundreds of them, you’ll love the flexibility of our international conferencing service. Have you ever hosted a Bolivia or international conference call? Share your advice with our followers on Facebook. The quality of both service and audio are essential. We offer 24/7 US-based assistance to ensure your complete satisfaction — and we use PSTN networks known for their sound quality and reliability. Whether managing a global team or coordinating a one-time international event in the UK, global conference calls can make your life — and the lives of your participants — much easier. If you’ve been tasked with managing a group of people from around the world, consider signing up for a pay-as-you-go global conference calling plan. Below are a few tips to help you get the most out of your plan. Before signing up for any international conferencing plan, especially those that have recurring costs or long-term contracts, make sure to find out which countries are supported. It doesn’t do any good to sign up for a UK global conference calling plan if your main participants live in a country that is unable (or is excessively expensive) to join into your conference calls. Start by checking out our Expanded Global Toll Free Conference Call Service list of more than 100 countries. Will you be holding global conference calls on a regular and high volume basis or do you expect to chair a few international teleconferences sporadically throughout the year? Are you concerned about signing up for a long-term plan that you might not use regularly? Many of our customers prefer the flexibility of pay-as-you-go international conferencing. There’s less pressure and fewer worries about recurring costs or underutilizing the service. In fact, many sign up for a pay-as-you-go plan because they only need to host a few, or even just one, UK conference calls. They use the service as needed and leave their concerns behind. International conference call providers offer a variety of pricing models, making it difficult to compare costs. While a flat monthly price may sound enticing, how does that figure translate into your real-world usage? Will you use the service enough to justify the recurring expense? Would it make more sense to pay for your minutes as you use them? We publish our per minute rates per country on our website, making it easy for you to estimate the cost of your UK global conference calls. For example, if you plan on holding a 20-minute conference call each week with participants in the UK, France, USA, Canada, and South Africa, you could quickly look up the current rates for each of those countries and do the math. Spend a few minutes crunching the numbers and find out just how advantageous it is to pay as you go. The quality of both service and audio are essential. We offer 24/7 US-based assistance to ensure your complete satisfaction — and we use PSTN networks known for their sound quality and reliability. Our plans are loaded with features and available on a pay-as-you-go, no contract basis. You won’t find a better deal! Finally, start using the service. 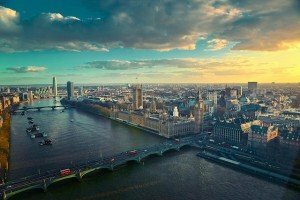 UK global conference calls are a great way to collaborate with your team. Use the service to share information, brainstorm ideas, resolve issues, and build relationships — and more. Did we miss any tips? 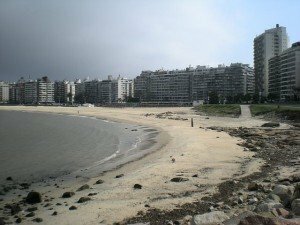 Imagine a Uruguay exporter who ships items to distributors in Brazil, Argentina, the United States, and the United Kingdom. Worldwide conference calls may seem like the realm of big, international conglomerates residing in high-rise office buildings equipped with the latest PBX systems, but they aren’t necessarily. Yes, the big players use international conference calls all the time, but so do the smaller ones. Let’s take a peek behind the scenes during a global conference call in Uruguay. Imagine a Uruguay exporter who ships items to distributors in Brazil, Argentina, the United States, and the United Kingdom. He would like to discuss a new product’s launch strategy with representatives in each of these three countries. Though there are some minor differences based on local markets, the overarching strategy is consistent enough that a group call makes the most sense. However, the exporter doesn’t have a fancy PBX system capable of handling a four-way conference call. He’s also concerned about how the distributors might react to having to dial a phone number in Uruguay, especially if the call runs an hour or more as he expects it to. The exporter does some research and finds out that he can sign up for a service that allows him to host international global conference calls in Uruguay without a contract and without monthly fees. He’s nearly ready to sign up, but he realizes that this Uruguay global conference call is likely to be a one-time need. As he continues to explore American International Telephonic’s website, he realizes that the no-contract Uruguay conference calling plan is truly a pay-as-you-go plan. He can host this one call, pay for the minutes used, and never be billed another penny. The exporter signs up and schedules his group audio call, a process that took mere minutes. He then invites his distributors from Brazil, Argentina, and the United States. Each participant receives the Uruguay conference call details complete with a local or toll free number for their own countries. At the appointed time, the distributor in Brazil dials a local number and joins the call. The distributor in Argentina connects to the call using our Connect App (she’s used our service in the past and loves the mobile app). The U.S. distributor dials a toll free number. But the caller in the United Kingdom seems to have forgotten about the conference. Remembering that the service has a moderator dial-out feature, the exporter dials the UK distributor on his cell phone and immediately joins him in the conference. Everyone is connected, and the sound quality is exceptional. The exporter records the Uruguay conference with a quick key press and leads the team through a productive conversation. The call ends after about 45 minutes. He’s delighted with the Uruguay conference call — and with the cost which came to about $26 for 45 minutes ($11.25 for Uruguay, $7.20 for Argentina, $4.50 for Brazil, $1.17 for USA, and $1.80 for UK dial-out). Consider that this conference call will result in a valuable economic transaction for the exporter, is it worth $26 dollars versus meeting face-to-face in a mutually acceptable city with airfare, hotel and other expenses for all? This is but one of many ways our customers use Uruguay global conference calls to connect with others around the world. We’d love to hear your other examples. Note that even within a single country, rates vary depending on if the access number is a local or toll free number. 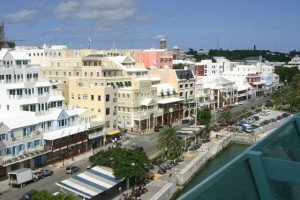 Need to host a Global Conference Call in Bermuda? Whether you’re a full-time resident of Bermuda or a visitor, hosting a global conference call in Bermuda with participants around the world is surprisingly easy. Here’s what’s involved. International access numbers are a must. When you host a global conference call, in Bermuda or anywhere else in the world, your international attendees must dial a phone number in order to join the call. While participants in Bermuda expect to dial a Bermuda phone number, those located in other countries will be put off by the expectation that they make a potentially costly international phone call. Some international callers will have trouble, requiring operator assistance to dial outside of their countries. Avoid these problems altogether by using our international conference calling service. We offer both local and toll free access numbers for countries around the world and low per minute rates. Participants from Brazil will dial a Brazilian access number; callers from Canada will dial a Canadian access number; attendees from Japan will dial a Japanese access number; and so on. All will be immediately connected to your Bermuda global conference call. Make sure to consider time differences. When scheduling your global Bermuda conference call, use a world time zone map to help you select the most convenient time for the conference for the bulk of the attendees. Depending on the countries involved, it may be impossible to schedule a 100 percent convenient time for 100 percent of your participants. If so, pay close attention to the next step. Record the global conference call. Set up call recording so that those who cannot attend the teleconference as it takes place can later listen to the recording. Depending on the nature of the call, such as a sales training class, you may even want to keep the recording for future reference. Our global conference call plans create MP3 files of your recordings that can easily be downloaded and shared. Calculate the potential cost of the Bermuda global conference call. Estimate the potential cost of your Bermuda conference call is relatively easy, but you’ll need to look up the country rates for each country involved. Note that even within a single country, rates vary depending on if the access number is a local or toll free number. Mobile callers sometimes have higher rates, and if you use moderator dial-out, you’ll usually get a much lower rate. If you have callers from different countries or with different rates, you’ll need to perform additional calculations and then add them all together. Sign up for a pay-as-you-go Bermuda global conference call plan. Whether you need to hold regular international conference calls or have a one-time need, our pay-as-you-go plans are ideal. You’re billed only for the minutes you use, making our global conferencing solutions extremely flexible. There’s no contract to sign, no monthly fee, and no hassles. And, most importantly, call quality is exceptional for all parties involved thanks to the use of an advanced PSTN network. Have you ever hosted a global conference call? Share your tips with us on Facebook. With an international conference call, mourners from afar will have the opportunity to share their memories and reconnect with other family members. You can provide your invitees located in Venezuela a local Venezuelan toll free phone number to attend your meeting. This way, your Venezuela attendees will not have to pay to join your call. You likely use conference calls at work, but did you know that international conference calls are a great way for families from Venezuela to communicate? Planning a Family Reunion — Your mom’s in charge of finding a venue for the reunion in Venezuela; your aunt is in charge of cooking; your brother wants to line up entertainment; your dad wants the men to spend at least some of the time fishing; and you want to keep everyone happy. Everyone has a job, but it’s not necessarily clear how everything will come together — especially because most everyone is living overseas. By hosting regular conference calls, you can all get together in a group call to iron out the details and ensure that everyone is on the same page. You can even record the call and review it at your leisure to make sure that everything is covered. Holding Virtual Memorial Services with Your Loved Ones in Venezuela — With extended family living abroad, bringing the entire family back home for a memorial service can be cost-prohibitive. While some immediate family members will make the trek, some extended family members won’t be able to do so for any number of financial or logistical reasons. Hold the memorial service as planned, but consider holding a second “virtual” memorial service using a Venezuela conference call for your overseas family members. With an international conference call, mourners from afar will have the opportunity to share their memories and reconnect with other family members. If you record the call, you could share their stories with future generations. Holding Important Family Meetings — As your parents age, they’ll need extra help. If one of them becomes injured or ill, or if tragedy strikes, you and your siblings will need to coordinate care quickly. All of this is hard enough when everyone lives nearby; it’s even harder when some are in Venezuela and others are overseas. Fortunately, you could use international conference calls to hold these important family meetings. Group calls are a great way to communicate what’s going on and what needs to happen as well as clarify roles and responsibilities. You can even invite health care providers to the Venezuela conference call to discuss your loved one’s prognosis and care needs. These are just three, of many, ways you could use Venezuela conference calls to stay connected with your extended overseas family members. Can you think of any other uses for family conference calls? Once you’ve found a good general time for your conference calls, consider holding them weekly or monthly among key individuals. Whether you have relatives or business associates in Vietnam or plan on visiting Vietnam, conference calling is an often-overlooked communications method. Yet, it’s one of the easiest and most cost-effective ways to chat with your families, friends, and business associates. Use the tips below to get started. Sign up for a Vietnam conference calling plan. We have pay-as-you-go plans and competitive per minute rates. 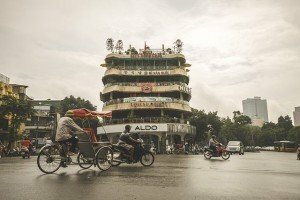 Your participants in Vietnam can dial either toll free or local access numbers while those located in other countries will dial their own in-country access numbers. Schedule your Vietnam conference calls at the best time for the group. This can get tricky, especially when large time zone differences are involved. It’s even trickier when some participants are on opposite sides of the international date line. Use a world time zone map to find the best time possible, ideally with no one having to set his or her alarm clocks for the middle of the night. Communicate the benefits of holding a Vietnam conference call. Some of your family members will question why you want to use an international conference call when you could try a Google Hangout or use FaceTime. Point out that while they may have access to a webcam or Apple product, not everyone in your group does — but everyone has a phone and knows how to use it. Reiterate that Vietnam conferencing calling is an affordable way for a group to communicate, and the sound quality is crystal clear. Hold regular Vietnam conference calls. One of the biggest benefits of having an affordable pay-as-you-go Vietnam conferencing service is that it’s so easy to use (and cheap). Once you’ve found a good general time for your conference calls, consider holding them weekly or monthly among key individuals. Everyone will become better informed as a result, and relationships will grow stronger despite huge geographic differences. Are you using conference calls to stay in touch with family members or business associates in Vietnam? Share your best tips with us on Facebook. 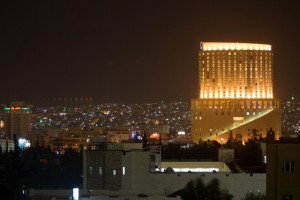 Jordan is one of the world’s leading destinations for medical tourism and has been a leader in this field since the mid-1970s. Planning a trip to the country of Jordan? Plan on using Jordan conference calls, too. Below are two examples of how having a Jordan conference calling service can help you plan a successful trip. Whether you’re holding a family reunion or a group trip with friends, the more people involved, the more you’ll need to collaborate. If some of your fellow travelers are in different countries, get a pay-as-you-go international conferencing plan. That way, each individual could call a local access number in order to join your Jordan conference call. Your contacts in Jordan would dial a Jordan number, those in the US would dial a US number, those in Italy would dial an Italian number, and so on. Are you going to Jordan for medical care? You can use Jordan conference calls to coordinate your care. Jordan is one of the world’s leading destinations for medical tourism and has been a leader in this field since the mid-1970s. Jordan actively markets its medical expertise to Europe, America, and former-Soviet states. While traveling to another country for a medical procedure may seem costly, many patients have found that the lower costs of foreign healthcare offset the costs of travel — often dramatically so. However, a great deal of coordination is usually required when seeking medical care in Jordan. Conference calls are one tool that can help. Several individuals, from your healthcare teams in both countries to a health tourism coordinator, may be involved in coordinating your procedure. Using group audio calls is a fantastic way for everyone involved to come together to discuss logistics, explain the process, and plan the best approach for your care. For example, you may need to speak with representatives from the Jordan medical center as well as your own healthcare providers at the same time. Your loved ones at home may need to speak with your healthcare team or coordinate aftercare services after the procedure. Using an international conference calling service allows your contacts in Jordan to dial a local or toll free number for Jordan to connect to the teleconference. Meanwhile, your local contacts would dial a domestic access number to connect to your conference calls. You can also use your Jordan conference calling service to communicate with your loved ones while you’re in Jordan. For example, instead of calling everyone individually after the surgery to tell them that you are recovering, you could hold a post-operative conference call in Jordan from your hospital room or later when you’re back at your hotel. Your contacts back home will dial a local or toll free number, thus avoiding a costly international long distance call. Since you’ll be hosting the call in Jordan, you’d dial a local access number to join the conference call supplied by AIT. Alternately, you could use the dial-out feature to dial each of your loved ones directly at a slightly lower per minute rate. Have you ever hosted a Jordan conference call? Connect with anyone in any country uitilizing a group international conference call. Can a participant join your conference call from their country? If you host a diverse conference call with guests in remote countries, network access numbers might not exist. But this shouldn’t stop your call. The Expanded Plan includes in-country toll-free access in over 100 countries plus local access numbers in 50 worldwide cities. In addition to convenient dial-in access methods enabling an attendee to login with either a local or toll-free number from inside their country, the Expanded Plan also gives the chairperson dial-out capability. How does the dial-out option help you add inaccessible attendees to your call? In a nutshell, the dial-out feature enables the leader to call out to any phone number globally without disturbing the meeting in progress. This means the leader of the call can add a participant on demand in any country. The attendee simply answers the inbound call to their phone and is immediately added to the call. For instance, recently a customer based in New York had a project in progress in Ghana. There is simply no easy way for the Ghana attendees to access the call. So, the chairperson uses the Expanded Plan with the easy dial-out feature to add the Ghana guests to their weekly calls. The other attendees located in the US and Kenya access the call using the supplied toll-free numbers. In addition to the dial-out feature, the Expanded Plan also offers a free App that enables connecting to the conference room using any web enabled device such as iPhone, Android, Blackberry or a PC and MAC desktop. The Connect App makes dialing in using traditional toll-free or local numbers unnecessary as long as the attendee has a WiFi connection. Some companies offer local international access numbers that you can give out to your global call participants but they may not work. Bad, non working access numbers are obviously something you want to avoid especially on an important business conference call with a potential client, existing customer or with a regular team meeting call. Some of the problematic services with non-working overseas access numbers are touted as cost free. The saying is still true, you get what you pay for. The Expanded Plan is an all inclusive, high powered, intercontinental business collaboration tool with global access numbers guaranteed to be operational 24/7. In addition to the many methods of accessing your call, the chairperson can always reach a 24 hour U.S. based operator who will connect anyone, or fix anything required. The combination of technology, low costs, ease of use, and quality has contributed to doing business internationally a reality. Businesses are connected like never before thanks to communications innovations such as global conference calling and virtual phone number technology. Not only is this real and happening, costs are remarkably low. Now, people can communicate with others around the world while keeping travel to a minimum and without huge phone bills by using global conference calls and virtual numbers for quickly creating a presence in another country. Best of all, line quality has kept up with the technologies. The combination of technology, low costs, ease of use, and quality has contributed to doing business internationally a reality. While email and traditional long distance phone calls have their place with international collaboration, virtual numbers and group overseas calls have become essential. 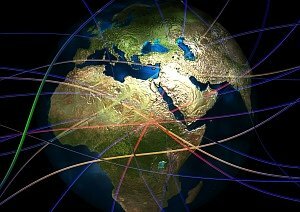 Rather than connecting two individuals from opposite ends of the earth, a global conference call brings together an entire international dispersed team. Global Conference calls allow for cost-effective group communications and interactions. Because everyone can speak to one another and hear and understand voice inflection and tone, communication is far more effective than exchanging group email messages. Overseas Call forwarding is an amazing way to set up shop in the communities that you want to serve, either locally or internationally, without having to go through the hassles and the expense of setting up a physical location. In addition to the normal method of accessing a conference via a phone, one very convenient free optional feature customers enjoy is to use a Connect App. Essentially this is another option to access a conference call using a web enabled device. Tasked with hosting an international conference call? It’s not as easy to host international conference calls as it is to do so domestically for several reasons. First, you have time zone and language differences to contend with. Second, different countries have different dialing conventions and international calling costs. And third, if you’re trying to do it with your office conference phone, it may not be able to handle a large volume of conference call participants. In addition to the normal method of accessing a conference via a phone, one very convenient free optional feature customers enjoy is to use the Connect App. Essentially this is another option to access a conference call using a web enabled device. The Connect App work from smartphones and PC’s or Mac desktops. Connect tools let users quickly schedule, start/join and manage their audio conferences and Web Meetings. These tools provide an option to have the bridge call the user instead of having to dial an access number, enter a passcode or chairperson PIN, saving time joining a call and avoiding incorrectly entered numbers for the Toll Free, access code or PIN. These Connect tools also provide the same functionality to participants when the meeting is scheduled using the free Calendar Tool. 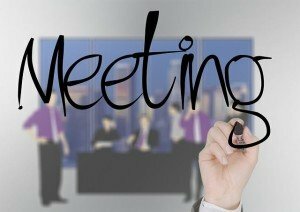 If you are also using Web Meeting, meetings can easily be started or joined from the same invitation/link. 1. Use a world time zone map or calculator to determine the best time for the majority of your call’s participants. It’s not always possible for all participants to attend your live call during local business hours. However, you may be able to find a time that works well for most attendees. 2. Choose a conference call service provider that specializes in helping businesses host international conference calls. Ideally, the provider you choose will support all of the countries involved as well as offer affordable rates. Keep in mind that some countries have higher international calling costs than others. To contain these costs, consider using the service provider’s “dial out” feature. By dialing participants directly, you will get a much lower per minute rate. Dial out can usually be pre-programmed so that those calls will be placed automatically by the conference calling system. 3. Choose local or toll free numbers for your participants’ countries. One of the biggest challenges you will encounter when you host international conference calls involves providing access to the conference room. This is because each county has its own unique calling conventions. A toll free number in the United States, for example, doesn’t work in Italy. The trick is to provide callers with either local or toll free numbers that work in their respective countries. These numbers will then connect to the global conference call. 4. Record the call. When you host international conference calls, there’s usually an option to record the call. By all means, do so. You never know when you might want to listen to it again or share it with others. For example, you may want to use the recording for training purposes or have the call transcribed and translated. Participants who were unable to attend the call in real time could listen to the call after the fact. Recordings are also helpful for those who speak a different language as a first language. By providing a recording of the call, they can go back and listen to sections that they had a hard time keeping up with originally. 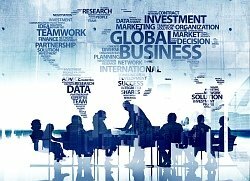 When you host international conference calls, many challenges can be overcome by choosing a global conference call service provider that specializes in overseas teleconferencing. Choose wisely and your international conference calls are sure to be successful. If you used an agenda to conduct your overseas conference call, use it to help you decide which agenda item discussions are worth sharing and which ones need to be held in the strictest confidence. So, you’ve held an overseas conference call and made an MP3 recording of it, now what? You could simply upload it to your intranet and share it with participants and employees. If your overseas conference call was relatively short, that may be the way to go. If it went on for several hours, you may want to edit the audio recording. After all, few people will be willing to sit through several hours of audio content no matter how compelling the content may be. Here’s what you need to know about editing an MP3 recording. Start by planning your edits. If you used an agenda to conduct your overseas conference call, use it to help you decide which agenda item discussions are worth sharing and which ones need to be held in the strictest confidence. With the agenda in front of you, listen to the recording of your overseas conference call and jot down the start and stop times of each agenda item in hours, minutes, and seconds. What you are doing right now is called a “paper edit.” Getting organized on paper will save you a great deal of time and frustration once you being editing the audio. In this example, it may make sense to create individual recordings for each topic and allow your team to choose the most relevant ones to their job roles and regional interests. By splitting the contents of your overseas conference call into individual recordings, the information will be much easier to digest and potentially repurpose. For example, once split up, you could later send a link to your social media guidelines recording to new hires or team members who will be responsible for using social media. Instead of having to listen to a motivational speech and several analyses of consumer behaviors, your team members can quickly hear what you need them to hear. Finally, you’ve completed the paper edit, decided on creating either a single edited recording or a series of shorter ones, and know exactly how you will distribute the finished recordings. Audacity – Free, open source, and wildly popular, Audacity can import and export many audio formats including MP3, WAV, OGG, and AIFF. It’s loaded with features and is compatible with most operating systems. MP3 Cutter – With minimal features, creating short audio files from larger files is a simple matter of importing your MP3 recording, choosing the start and end positions, and clicking the “save” button. Editing an overseas conference call can help ensure that the rest of your team actually hears your message. With a little planning and an audio cutter, you can create and distribute short snippets of your overseas conference calls. You never know when a valuable discussion will arise on international conference calls. Be prepared by recording them. Holding international conference calls is a fantastic way to interact with participants around the globe in real time. Not only can you connect using a group audio conference, you can also get more mileage out of your calls by repurposing them. • Distributing a full or partial recording to participants – Depending on the nature of the call, you might even charge for access to the recordings. • Use audio clips in PowerPoint presentations – Did an important discussion take place that’s relevant to your next presentation? A short excerpt of that discussion could be a powerful soundtrack to your slides. • Use audio clips in blog posts or podcasts – Your subscribers may enjoy a taste of the audio conference either in blog or podcast form. Use short excerpts as a teaser to download the full MP3 recording. • Create an article around a discussion – Whether you interviewed an industry leader or discussed the pros and cons of adopting a new technology, you may have fodder for an in-depth article. Instead of starting completely from scratch, get out the transcript and build an article around the most engaging part of the discussion. • Extract audio or text-based testimonials – If your international conference calls involve product feedback or training, participants may have some wonderful things to say about your products and services. The recording could be filled with potential testimonials. Extract a few choice testimonials, contact the original speakers, and ask if they’d mind if you used their comments as a testimonial on your website or marketing materials. Many will be more than willing to allow you to do so, and they’ll be relieved that they don’t have to do anything to make it happen. Below are a few ways to get the most out of your international conference calls. 1. Record your international conference calls. Most international conference call service providers include an audio recording feature. Make sure to announce to the group that the call is being recorded. You may need to obtain permission from other speakers to reuse their talks. For example, if you intend to create an audio CD of a tele-seminar and you’ve invited a prominent industry leader to deliver the keynote, make sure that your intentions are clear and that you have the speaker’s permission to use the recording in any manner you see fit. 2. Have the recording transcribed into text. While editing an MP3 recording and packaging it as an informational product is easy enough, you may also want to have the discussion transcribed into text. Transcriptions add value to those who prefer to read and skim through content instead of listening to a lengthy discussion. Some people will listen but later refer to your transcript as a refresher. In addition, once you have the transcript, you have the building blocks in place for other text-based pieces. For example, with a little editing, sections of your international conference calls could become blog posts, special reports, or even eBook chapters. 3. Determine what can be shared and with whom. Obviously, if the call is intended for internal company use only or contains confidential information, you shouldn’t make it available to the general public. On the other hand, if you use international conference calls to educate, inform, or train customers and business prospects, then it may make sense to repurpose some of that content with other customers and business prospects. Use both the MP3 recording and the transcript to highlight key areas of the call that you may want to use later. Write down the location of the desired audio in hours, minutes, and seconds so that you can easily find it later. 4. Start reusing the content of your international conference calls. Once you’ve decided what to share and with whom, it’s time to start sharing (again, assuming you have permission and the use is appropriate). For example, you could create a participant or team list containing the names, phone numbers, countries, and time zones of each international team member. Holding team international conference calls on a regular basis is a great way to help your team succeed. However, there’s a lot of repetitive data entry involved. TextExpander is a nifty tool that you can use to make planning and conducting your team international conference calls that much easier. TextExpander is a utility for Macintosh computers, iPads, and iPhones (similar utilities are available for Windows) that allows you to create “snippets” of text and associate them with shortcuts. For example, you could create a snippet containing your name, title, company name, phone number, email address, and social media profile links. Instead of typing this information manually, simply type the shortcut (such as %contact) and let TextExpander fill the information in for you. Using TextExpander to plan your team international conference calls can save you a lot of time and ensure that you do not miss anything. Use the tips below to get started using TextExpander with team international conference calls. The more comfortable you become using it, the more uses you’ll find! Start by creating a snippet to store pertinent details about your team international conference calls. For example, you could create a participant or team list containing the names, phone numbers, countries, and time zones of each international team member. Use an easy to use shortcut such as %team. When planning your next call, simply type in %team and your entire list of participants will be listed. Each team international conference call should have its own unique agenda. However, a consistent format and a fill-in-the-blanks template can certainly help. 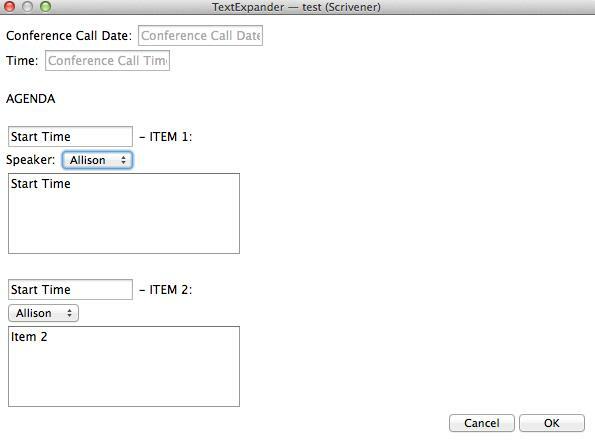 Create a text snippet as a blank template for your team international conference calls’ agendas. Depending on how comfortable you are using TextExpander, you can even include snippets within snippets. For example, you could include your team list (%team) within the agenda snippet as well as use today’s date as the agenda creation date. If you’re an advanced TextExpander user, consider using “fill-in” fields to create a basic form that prompts you to enter your agenda items. Introductory remarks. Discuss the upcoming back-to-school season. Discuss Brazilian strategy and the status of the social media marketing campaign. Once set up, you’ll have an easily accessible template to reuse over and over. With each team international conference call, you’ll need to inform your team of the call’s details. TextExpander can come to the rescue once again. Create a snippet containing basic conference call details such as: international conference call access number, PIN code, and any other stock instructions for participating in the call. Another idea is to create another snippet containing the various international access phone numbers by country. When you need to inform your international participants of the appropriate access number, this information will be just a shortcut away. Again, if you’re an advanced user, consider using fill-in fields where you have all the basics in place and then fill in the upcoming call’s unique details using a form. This is a great way to quickly fire off an email containing all of the pertinent details. During the call, you’ll want to take notes. Create a meeting notes snippet and be ready at a moment’s notice to start jotting down action items, questions, and more. Using TextExpander to plan your team’s international collaboration by phone is an efficient way to write agendas, invite team members to team international conference calls, and take notes during the call. aitelephone.com is not affiliated in any way with TextExpanded software and mentions it only as a possible assist to customers. Should a crisis arise or a team member need immediate feedback from other members, it’s easy to initiate an overseas conference call. Is your team scattered across the globe? While online communications tools allow for global collaboration, they are no substitute for team international conference calls. After all, the ability to hear voice tone, inflection, and other verbal cues is lost in email, message threads, and social media. Not only that, team international conference calls take place in real time which allows your team to interact quickly and efficientlyPredictably reliable international connections and audio quality. At the same time, team international conference calls can be difficult to coordinate due to time zone differences. Depending on the number of participants and the countries involved, costs can also become a concern. Thus, you’ll want to make the most of team international conference calls. Use the tips below to plan an efficient group conference call. 1 Use a pay-as-you-go, no-contract international conference call service with low per minute rates for the countries involved. Pay-as-you-go plans are ideal for teams that may use the service irregularly. With a pay-as-you-go plan, there are no monthly fees or minimum usage requirements. If you do not use the service one month, you don’t pay for it. If you have a busy month with multiple team international conference calls, you simply pay for the number of minutes per participant used. When the project ends and the team breaks up, you can stop using the international conference call service without incurring an early termination penalty. 2 Allow team members to host international conference calls on the fly. With a reservation-less scheduling system, your team can hold team international conference calls as needed. Should a crisis arise or a team member need immediate feedback from other members, it’s easy to initiate an overseas conference call. 3 Allow team members to take turns being the moderator of team international conference calls. By rotating duties, each team member has the opportunity to determine the best time for the call, schedule the call, create the agenda, lead the call, moderate questions and answers, and follow up with recordings and notes. With shared duties, no single team member becomes overburdened with teleconferencing responsibilities. At the same time, each team member learns what’s involved and will be more likely to become a better participant as a result. 4 Encourage team members to follow a similar format for each group conference call. Using a standard format breeds familiarity and makes planning easier. Create a basic template for your calls’ agendas. Your team moderator will simply need to fill in the blanks and distribute the agenda and call details to participants prior to the call. 5 Encourage team members to stick to a strict time limit. Not only will this keep your team international conference calls within budget, it will also keep each call on track. Once the call begins, the moderator will be responsible for ensuring that each agenda item is covered within its allotted time. 6 Suggest the use of MP3 recordings. Recording each team international conference call is a simple matter of clicking a button. Doing so ensures that team members can go back and listen to the call later or share the call with business partners, new team members, or members who were unable to attend the call live. Help your team communicate in real time with team international conference calls. With a pay-as-you-go global conference calling plan and the tips listed above, your team can make the most of their time together in a group audio conference.